I hope all is well & prosperous. My name is Kimberly Charles & I am pleased to inform you about my organization Phoenix Refined NYC's 1st Costumed Haitian Mas Band. On September 1st Phoenix Refined will be partnering with LaCaye Restaurant, Changing Gears Ent. & Zing Experience To Present a Labor Day Celebration In the Posh Fort Greene Neighborhood. LaCaye Is Located at 35 Lafayette Avenue Brooklyn, NY 11217. The events are set to begin at 9pm Sunday September 1st with a Performance By Zing Experience. The night will be filled with acoustic vibrations & creole savors. We will be echoing the energy of the annual "J'Ouvert" pre-party celebrations. This Haitian Masquerade Camp was brought to life because of the lack of Haitian Representation in the Caribbean Community. We are the missing link to restoring our countries rich culture and history in New York City. Phoenix Refined believes in giving back to the community and so with that we are collaborating for our 2nd year with It Takes a Community to Raise a Child, a nonprofit learning facility, which addresses the students’, individual needs so that he or she may develop physically, spiritually, intellectually, socially, and morally; ITAC believes in educating the whole child. We play a role in the cultural education of these children and in the near future we hope to branch out further. Since The creation of Phoenix Refined we have been blessed to work with many non for profit organizations and expose others to the Haitian Culture. We have worked with inner city Schools Like Mott Hall Bridges Academy in conjunction with a group called Passport to the City +NoMadness Travel Tribe, Capra Care, New York Cities Haitian Consulate, Fabrice Armand’s Haiti Cherie Pride, Love & Commitment, The National Haitian Student Alliance, C2C’s Hope & A Future Benefit Concert, LaCaye Restaurant at BAMs Dance Africa Festival and Many More. Our Vision & Our Goal Is To Produce Proud Haitians & Haitian-Americans who are Proactive, Invovled & Aware Of Their Rich Culture. With Phoenix Refined The Proof is in the Pudding come & see for yourself. With Phoenix Refined we are creating an environment where we bring the camaraderie back into the Haitian Culture and the Caribbean Diaspora as a whole. Phoenix Refined Premiered Last Year As NYC's 1st Haitian Masquerade Camp & This Month Makes It Makes A Year That We've Not Only Displayed Our Haitian CULTURE On The Streets of BROOKLYN For The West Indian American Day Carnival But We Have Also Been Blessed To Work With The Kids, The Community, Our Elected Officials & Expose Countless Amounts of People from All Over The WORLD To The HEART, The JOY & The PRIDE of HAITIAN CULTURE!!! 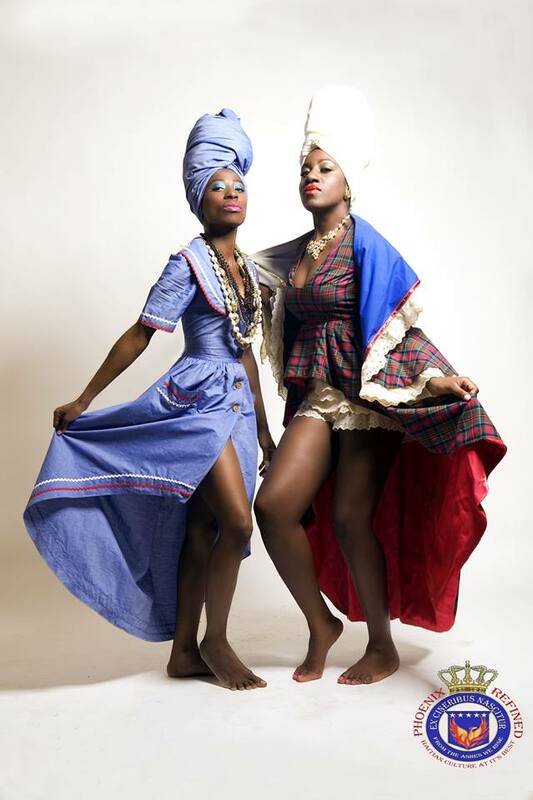 We Don't Just Sell Costumes for Kanaval In NYC... We Create The CREOLE EXPERIENCE!! !